We’re pleased to provide a virtual book club for Baldwin Wallace alumni, family, and friends. Not always able to make it to campus to reconnect with friends? Not in the Northeast Ohio area, or even Ohio? The virtual book club is a new way for YJ4Ls near and far to connect, while also taking advantage of BW's commitment to lifelong learning. 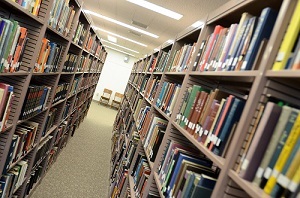 Members of the BW community will enjoy a variety of books, both fiction and non-fiction, related to social issues, business, psychology, and more. Our group will use an online forum to connect with each other and share insights. Participation is completely free for Baldwin Wallace alumni, emeriti and retirees, current parents, and faculty and staff (you just need to obtain a copy of the book). As of early September, we are currently beginning our fourth book, Shackleton's Way: Leadership Lessons from the Great Antarctic Explorer, by Margot Morrell and Stephanie Capparell. New readers are welcome to join anytime! BW's book club is managed by PBC Guru. PBC Guru manages professional book clubs for companies and alumni associations and moderates the group to help make this program a great experience for all participants. Please email them at info@pbc.guru with any questions or concerns, or visit their website at http://www.pbc.guru to see more of what they do.